Spread Pick: Novgorod with handicap +15.5 at 1.90 Over/Under: Under 162.5 1.90 Bet Now! This is an all-Russian affair in the Euroleague Top 16, and there is no doubt that both teams come into this game on a high. This is down to the fact that both teams managed to notch over 100 points in the Euroleague last weekend. This could be a massive game for CSKA Moscow as they head in pursuit of their 30th consecutive win of the season. With 15 domestic wins behind them and 14 wins in the Euroleague this season, the pressure is on the home team to keep on winning. The pressure is likely to be heightened by the fact that they are taking on a domestic rival in Europe but CSKA can take some comfort from the fact that they have already defeated Nizhny this campaign. This was a 59-84 away win in the VTB league this season and if CSKA grab another win, there is every chance that Nando De Colo will be at the heart of it, as the player is the current leading scorer in the Top 16. With a 14-0 record in the Euroleague, including a 4-0 record in the Top 16, and scoring an average of 88.7 points, CSKA Moscow are in great shape. One of the reasons for their great form has been French forward Nando De Colo, who has offered up 15.5 points per game, 3.4 rebounds per game and 2.8 assists per game. Russian forward Andrey Vorontsevich has also been in excellent form, offering an average of 10.6 points per game, an average of 5.5 rebounds per game and an average of 2.6 assists per game. Serbian guard Milos Teodosic has been in brilliant all campaign too with an average of 15.7 points per game and an average of 7.9 assists per game. As you would expect, CSKA Moscow sit in first place in their own domestic league, holding a 16-1 record. 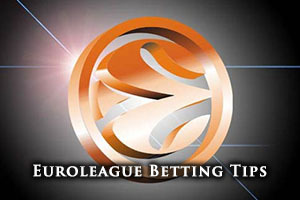 Their most recent win saw them grab a narrow 73-75 win against Unics Kazan. 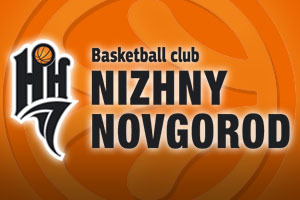 Nizhny Novgorod holds a 7-7 record in the Euroleague so far, which includes a 5-5 record in the regular season and a 2-2 record in the Top 16. Nizhny have offered up an average of 77.6 points in the Euroleague so far this season with Taylor Rochestie, their USA guard, being their key man. Rochestie has offered an average of 19.3 points per game and an average of 6.2 assists per game. Trey Thompkins has provided an average of 13.4 points per game while the Belarusian center, Artsiom Parakhouski has provided an average of 12.1 points per game. Nizhny are currently in 3rd place in their domestic league, holding a 14-2 record, and their last domestic game was a comfortable 79-93 away win against Tsmoki-Minsk. You have to fancy CSKA to win the game but taking Nizhny Novgorod with a handicap of +15.5, and at odds of 1.90, is too good to ignore. If you are looking to place a bet on the Over/Under market, you will find that going Under 162.5 makes great sense. Both of these bets are available with Bet365, and if you are looking to enjoy CSKA Moscow v Nizhny Novgorod live, we can help you out. Bet Now!